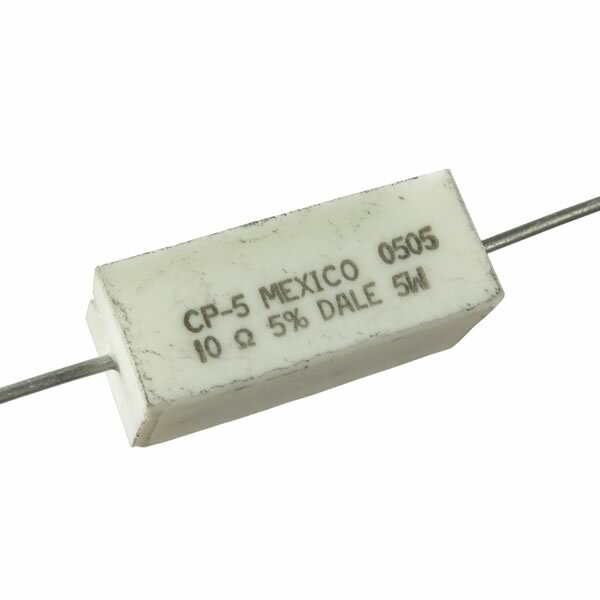 Dale CP-5 10Ω 5 Watt 5% tolerance sandstone wirewound resistor. Size is about 0.90" x 0.38"square with full length axial leads. Sold in a package of 10.